What’s the best gluten free snack bar on the market? If you’re new to a gluten free diet, you might think that’s an easy question to answer because you don’t have a ton of gluten free granola bars to choose from. Nowadays, though, new gluten free energy bars are being released every year...and many of them are insanely tasty! 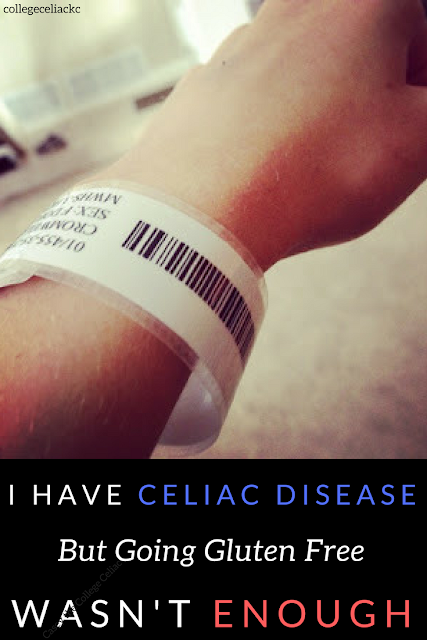 That’s why I thought I’d write a post all about the best gluten free snack bars I’ve gotten to taste since my celiac diagnosis over five years ago. All the gluten free granola bars I’m including below are also oat-free*, as many celiacs like me don’t do well with oats, even if they're gluten free. And if you’re looking for gluten free snacks that are packed with protein, stay tuned. I’ll be sharing another round up of my favorite gluten free and vegan protein bars within the next few weeks! Until then, though, let’s dig into my top seven gluten free, oat free energy bars, listed in no particular order. Many of these snack bars are also vegan and some are paleo, too. And keep in mind, I’ve tried a LOT of granola bars over the years but there are still tons I haven’t. So if your favorite gluten free granola bar isn’t on the list, be sure to tell me all about in the comments! *Two kinds of the Health Warrior bars I'm mentioning do have oats, but those bars have never bothered my stomach. If you are avoiding all oats in all amounts, though, stick to Health Warrior's pumpkin bars that I also mention! Lara bars are actually the first gluten free snack bar I bought in bulk after my celiac diagnosis. I love that all the ingredients in Lara Bars are simple, whole foods like nuts, dried fruit and spices. For years in college, I’d eat one Lara bar every day during my morning break between classes. My ultimate favorite Lara Bar (Cashew Cookie) is just two ingredients: cashews and dates. I also love Cinnamon Roll (probably my second favorite flavor of all time! ), Blueberry Pie, Cherry Pie, and Chocolate Chip Cookie when I want a chocolatey treat. Because they include so much dried fruit and dates, Lara Bars are pretty sweet. However, if you’re looking for a gluten free, dairy free, soy free and vegan energy bar that doesn’t have any funky ingredients and tastes really good, Lara Bars are a solid choice! If you’re a long-time of my blog, you already know I’m addicted to all of Enjoy Life Foods’ products. But when I want a sweet late night snack, their gluten free granola bars are one of my go-to’s. Like all of their products, Enjoy Life Foods’ granola bars are free of the top eight allergens. They come in a variety of flavors, with my favorite being Cocoa Loco (which tastes like a super dense, super chocolatey brownie to me) and Caramel Blondie (which is crunchy from puffed rice but deliciously chewy at the same time). Enjoy Life Foods also recently released grain-based snack bars that you might enjoy if you can tolerate gluten free oats. To be completely honest, nothing I’ve ever eaten from Enjoy Life Foods has let me down, so you really can’t go wrong with any of Enjoy Life Foods’ snack bars or other goodies. Think of Thunderbird like Lara Bar’s slightly more sophisticated older brother. They also use super simple ingredients like dates, nuts and seeds and have a chewy, chunky texture. However, Thunderbird offers even more exciting flavors. Case in point? When I got to try Thunderbird’s granola bars for the first time last year, I was blown away by flavor combos like Hazelnut Coffee Maca, Pecan Goji Pistachio and - my ultimate favorite - Texas Maple Pecan. An image from their Instagram since I already ate all of my Thunderbird bars...oops! The Thunderbird snack bars are pretty big in size and very filling, so I often only eat half a time and save the rest in a snack bag for later. But if you love snacking on nuts, seeds and dried fruit and want to shake up your daily eats, I highly recommend giving Thunderbird a try! Raise your hand if you’ve ever wished you could find a slightly chewy, slightly crunchy granola bar that actually doesn’t have oats. If your hands wavin' in the air, prepare to be super excited to try one of my newest gluten free granola bar finds: Elemental Superfood's Seedbar. Elemental Superfood actually reached out to me to ask if I’d like to sample their products...and as soon as I saw that they make certified gluten free energy bars and granola using buckwheat instead of oats, I couldn’t say yes quickly enough. As an added bonus, their energy bars are also raw and packed with superfoods (hence the name!). So far, I’ve tried two flavors: Cranberry, Almond + Lucuma and Mulberry, Cacao + Spirulina. The bars are drier and crumblier than most of the other granola bars I’ve tried (especially if you eat the bars straight from the fridge, where their packaging suggests storing them). The cacao can also taste bitter if you’re used to more processed varieties. However, I love the unique flavor combos and the mix of chewy fruit with crunchy buckwheat and nuts, and for the past few weeks, I've been addicted to eating one of these bars every night as a sweet snack. Elemental Superfoods Seedbars also have a finer texture than many other nut-based snack bars, so if you don’t like huge chunks of nuts in your bars, you’ve found a winner. Sneaking some extra superfoods into your diet doesn’t hurt either! Meanwhile, if you live for big chunks of dried fruit or nuts in your gluten free granola bars, you’ll love Freedom Bars. These are gluten free, soy free, vegan, kosher, non-GMO, free of added sugar...and pretty dang delicious! Right now, Freedom Bars only come in four classic flavors: Apple Cinnamon, Chocolate Cocoa, Peanut Butter, and Raisin Almond. You know what they say...if it ain't broke, don't try to fix it! These gluten free bars are quite dense and chewy, but the crunchy nuts break up the chewiness and add some variety. I also thought the spice level in these bars - particularly in the Apple cinnamon - was perfect. Not overwhelming but definitely strong enough to make the bar taste like apple pie! If you're looking for the ultimate allergy friendly snack bar, you need to check out ZEGO. Their products and facility are free of the top eight allergens, plus celery, mustard and more. Plus, they intentionally avoid using ingredients that can mess with people's stomachs, so all their snacks are also free from oats, chicory root, artificial sweeteners and alcohols. ZEGO just recently released this sunflower date flavor, so when they reached out to offer samples, the sunflower-butter-lover in me couldn't say no. ZEGO offers a variety of different energy bar types, including Just Fruit bars, Fruit and Chia Bars and Seed and Fruit Bars. I've tasted the last kind of bar in the Sunflower Date flavor...and, guys, it is crazzzzy tasty. The texture is smooth and slightly crunchy, and the flavor is pure sunflower butter and dates. If you want a naturally sweet treat that still tastes like dessert, ZEGO is one delicious option! Health Warrior offers three kinds of gluten free bars: vegan chia-seed-based ones, larger superfood protein bars, and pumpkin seed bars. I actually JUST realized the other day (after initially publishing this post) that Health Warrior's chia and protein bars do contain (gluten free) oats. I've been eating them so long, I forgot to double-check the ingredients, and I will say that these bars never seem to upset my stomach or trigger the fatigue I feel when I eat a large serving of gluten free oats. If you can tolerate oats in small amounts, Health Warrior’s Chia Bars are my favorite gluten free snack bar to throw in my backpack for school or my fanny pack on a long hike. They’re smaller than a lot of other bars on the market, which makes them the perfect sized snack for me. They’re also the only bar I’ve ever tasted that is based on chia seeds, which are high in omegas, protein and fiber. (Read more about why I love chia seeds here!). My favorite flavors are açaí (a superfood that tastes kind of like a tart blueberry) and coconut. I was also surprised at how much I enjoyed mango, and the nutty chunks in the almond flavor break up Health Warrior’s usually dense and chewy bars. For another oat-free granola bar option, though, you can go with Health Warrior's pumpkin seed bars. The Chocolate Pumpkin Seed bar tastes a little like a lighter, crunchier Kind Bar, so if you love those bars, you might like Health Warrior’s pumpkin snack bars too. Most of those pumpkin seed bars use honey and are not vegan, but Health Warrior just released a new vegan dark chocolate coconut almond pumpkin seed bar as I was writing this post! 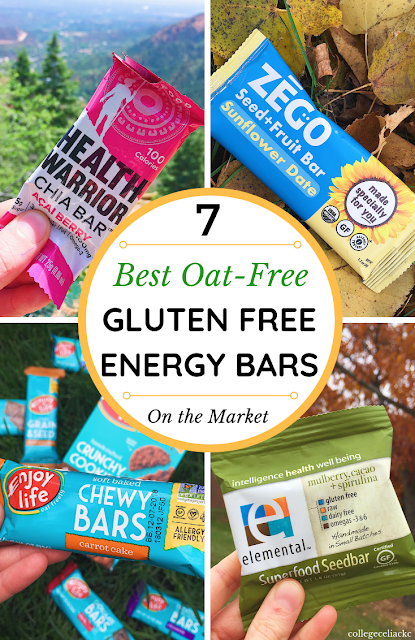 Like I said earlier in this post, there are certainly still many oat free and gluten free snack bars I haven’t tried that are probably just as good. Right now, though, these seven are some of my favorites...and I think they do a good job of showing just how diverse gluten free snacks can actually be! Whether you need a big snack and prefer eating granola bars made of whole foods or prefer an allergy friendly granola bar that reminds you of your childhood favorites, there is a gluten free granola bar out there for you. 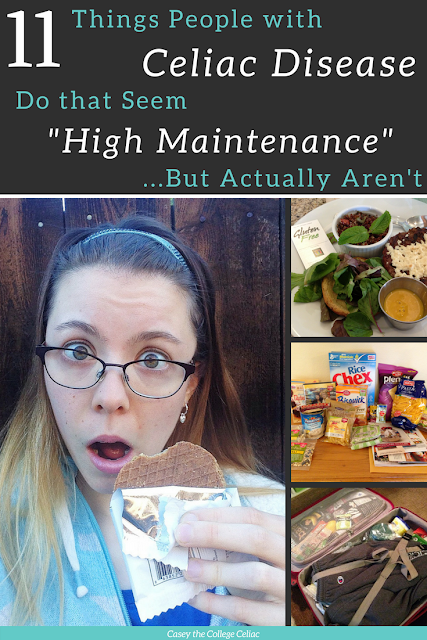 And giving up gluten free oats doesn’t mean you have to give up convenient snacks or flavor. So the next time you’re having a super busy day at work or school or around town, I hope this list gives you some ideas of gluten free snacks to take with you. And stay tuned for my round up of the best gluten free and vegan protein bars sometime soon! What’s your favorite gluten free granola bar? Tell me in the comments! Can freedom bars be found in stores? I have had larabars before and love them. I also love enjoy life chocolate chips.